I’ll bet you’re just dying to know what shows will be rolling at Casa del Buckler. If you’ve read a few of my Streaming Saturday columns, you won’t be surprised by a few of these picks. Some of the other ones might be a bit more illuminating as to my personality, tastes, and quirks. I don’t have a silly fanboy crush on Star Trek like Stuart Sweet, but some of my interests are peculiar. With all that said, let’s jump right into Buckler’s Guide to Summer TV. Monsters of the Abyss: Divers Richie Kohler and Evan Kovacs search for sea monsters in the British Isles. 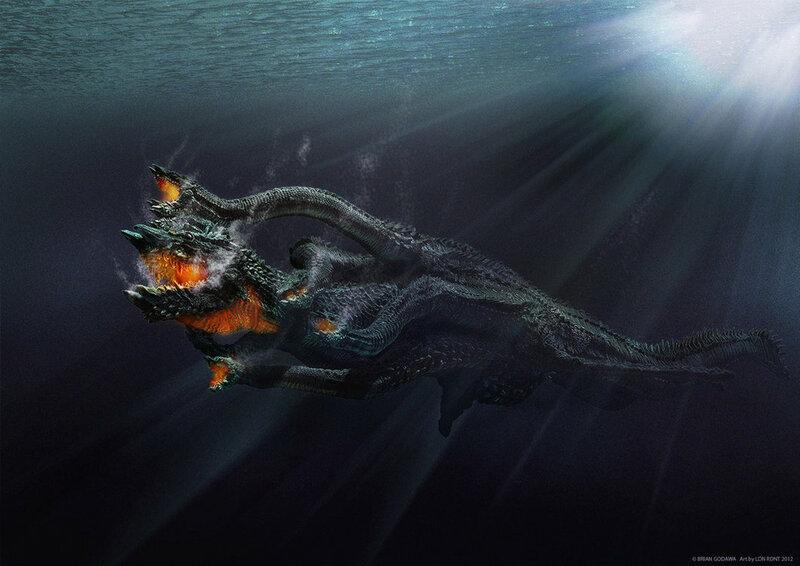 If they would’ve caught Nessie on camera, we would’ve heard about long before its premiere on Animal Planet. Fear Island: This show was part of Animal Planet’s Monster Week. In this episode, Bradley Trevor Grieve scours the uncharted Alaskan wilderness in search of “Grandfather,” a legendary giant bear. Best of luck, Brad! Swamp Mysteries with Troy Landry: The hullabaloo surrounding this History Channel show is that professional alligator hunter and “King of the Swamp” Troy Landry is hunting American water monsters. Maybe it’s time to drain the swamp on programming such as this. There will always be shows that I’m excited to see and fairly certain I will enjoy. Some of these shows are new while others are returning favorites. When added together, it looks like some very good shows are heading to TV this summer. George Michael’s Lonely Life: The 1980s were my decade and George Michael’s music was a part of that era. This Reelz documentary looks at the tragedies in the singer’s life, including his mother’s passing and his drug addiction. I’m expecting a compelling, behind the scene look at the man who sang some of the 80s most popular tunes. Breaking the Band: This Reelz series explores the reasons some popular bands split up. I probably won’t watch every episode, though. It will all depend on the band being featured in each episode. For example, I’ll be more interested in an episode featuring A Flock of Seagulls than I would with The Backstreet Boys. Just saying. 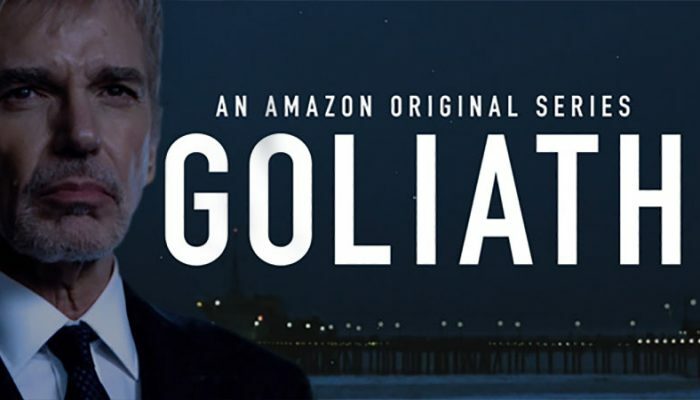 Goliath: I’m stoked to hear that a season two of this series is coming to Amazon! Starring Billy Bob Thornton as a boozy but cunning attorney, the first season of Goliath premiered on October 13, 2016. Nearly two years later, we get a second season that has Thornton’s character Billy McBride going up against a powerful drug cartel. Based on how well the first season played out, season two should deliver. Grease: Behind Closed Doors: It’s hard to be a member of Generation X and not have a soft spot for Grease. The movie inspired many young men to slick their hair, don a leather jacket, and search for their own personal “Sandy.” Reelz was kind enough to offer this behind-the-scenes look at the making of the film classic that celebrates its 40th anniversary this year. The Affair: This summer marks the return of this amazing Showtime series. I started watching the first season on a fluke when Mrs. Buckler stumbled across it on a free Showtime weekend. We liked the series so much that we added the Showtime app to our Amazon Prime Video account. Described as a “relationship drama,” fans of this series know that The Affair is much more than that. With the addition of some new cast members, the fourth season promises to be a sizzler. I can’t wait! What’s on TV in July and August? So far, all my summer TV picks are shows that air throughout the month. What about July and August? Well, I’m counting on a summer release of Netflix’s Orange is the New Black. I don’t think it will be in June, though I’ve been proven wrong before. While Orange is the one show I’m fairly certain will air this summer, there are others that I probably don’t know about yet, not to mention tons of original movies on Netflix and other streaming service providers. Considering all of this, I believe that the summer of 2018 will be a good one for me and anyone else who enjoys watching TV.